If you’re trying to find the perfect SUV for you and your family, check out the 2019 Buick Encore. With seating for five and a spacious cargo capacity of 48.4 cu. ft., it can adapt to all your work, life, and recreational needs. 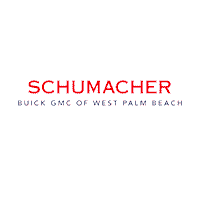 The new Buick Encore is now available at Schumacher Buick GMC of West Palm Beach, so continue reading to find out more about it. There are four different trims for the 2019 lineup, the first one being the Encore. It’s available in eight distinct colors to let your personality shine, including the stylish Deep Azure Metallic and the bold Winterberry Red Metallic. Stainless steel exhaust tips and LED-accented taillamps complement the car’s sculpted profile. Under the hood, it’s equipped with a fuel-efficient, 1.4L turbo engine that gets an EPA-estimated 27 mpg in the city and 33 mpg on the highway. Drivers can also look forward to a highly connected cabin. Every Encore comes standard with the Buick Infotainment System, which features an 8” touchscreen with Bluetooth® hands-free calling and music streaming. Some safety highlights include a Rear Vision Camera and the OnStar® and Buick Connected Services. So no matter where you’re headed, the Encore is well-equipped to keep you safe, connected, and comfortable. For even more modern conveniences, the higher trim levels don’t disappoint. From a power moonroof to a 4G LTE Wi-Fi® hotspot, the Encore offers plenty of ways to keep your passengers entertained. A full suite of advanced safety features are also available, including Lane Departure Warning and Side Blind Zone Alert. Here’s a glimpse at what the individual trims have to offer. To schedule a test drive or to learn more about all the great features of the 2019 Buick Encore, contact your local Buick and GMC dealership in West Palm Beach, FL today at (561) 283-3957.